The great northwoods is a terrain of placid lakes, dramatic skies, and tangled woods--a country whose splendors are often hidden, subtle, and seasonal. The seductive gifts of the north country reveal themselves gradually, and only to dedicated observers who live among them year in and year out, watching closely through the cycle of many seasons. Photographer Jeff Richter is such an observer, a witness who sees through the lens of his camera and brings both immense technical skills and an abiding love of the northwoods to his work. As a result, Seasons of the North is an all-encompassing journal. Richter's photographs reveal the audacious declarations of wild cherry blossoms in late spring, the solitary, purposeful stalking of the gray wolf, the brooding, cloud-choked aftermath of a summer storm, the frenzied festival of fall foliage, and the austere decorations of snow and ice in winter. 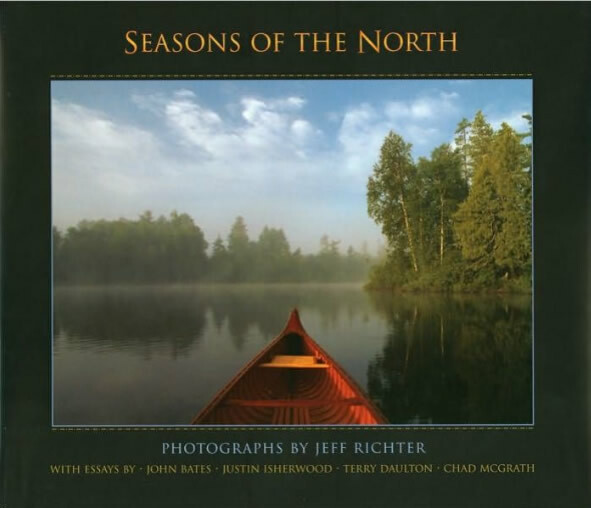 This collection of photographs, Richter's first in book form, is a testament to the beauty of each season in the northwoods. © 2016 Manitowish River Press | All Rights Reserved.